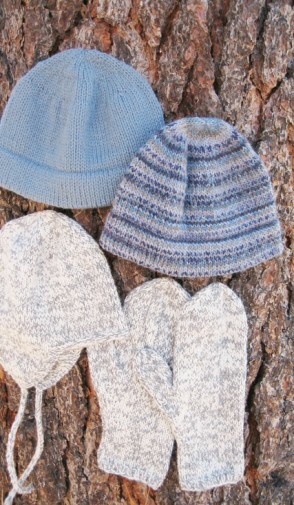 Simple hemmed hat or earflap hat sized for men. 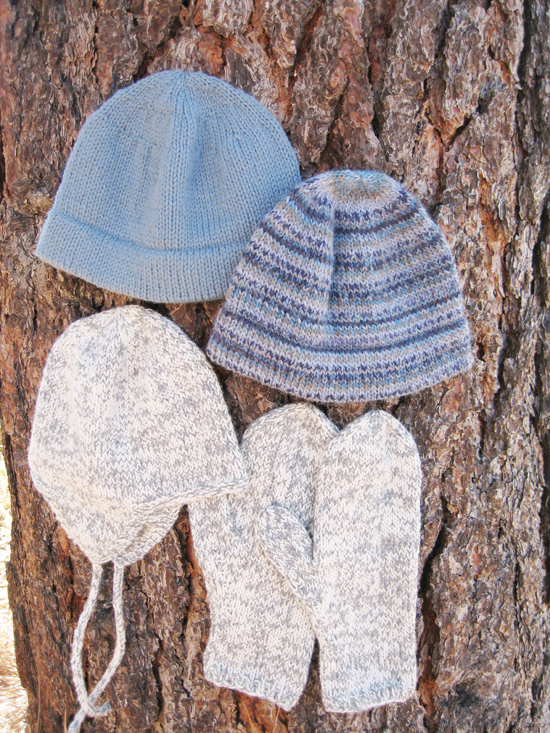 Uses heavy worsted weight yarn at a gauge of 18 sts to 4 inches. Mittens to match.